All of our self storage auctions are held online, so you don't have to go to a specific location to participate! Online self storage auctions are an easy way to participate. No missed time off from work, no crowds, and easy payment options! 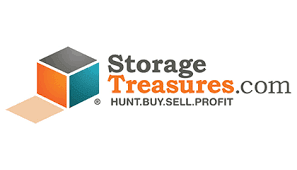 You can find all of our online auctions at StorageTreasures.com. New to online auctions? It's easier than ever to bid and win storage units at auction. You may bid from the comfort of your home, avoiding traffic & weather conditions, not to mention save a little money in gas. Register now using Promo Code: A1CALIFORNIA to get a free Pro Membership for one month.